Mothercare is an international retailer for parents and young children. Since opening over 50 years ago, there are now over 1,500 stores offering both Mothercare and Early Learning Centre products. 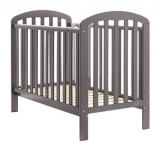 Mothercare provides a huge range of practical, safe and specialist baby products including cots and cot beds. 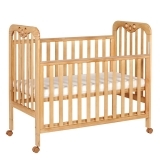 Mothercare has over 130 nursery cots and cot beds for you to choose from. 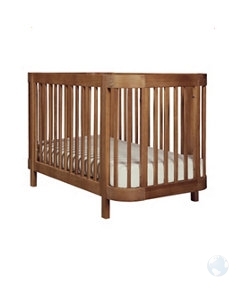 For smaller rooms take a look at the cot range where most cots are sized 120cm in legnth x 60cm width. If you would like a cot that transforms into a bed as your child grows then a cot bed is ideal. 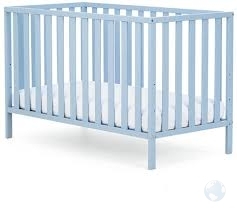 Cot beds are slightly larger than a standard cot with the length approximately 140cm and the width 70cm. 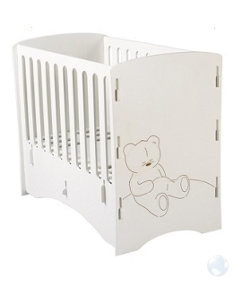 Many parents love the fact that the baby's cot can also be used as a first toddler bed in the nursery. Most cot beds last until the child is approximately 5 or 6 years old, but this varies from cot to cot so be sure to check the manufacturer's age recommendations. 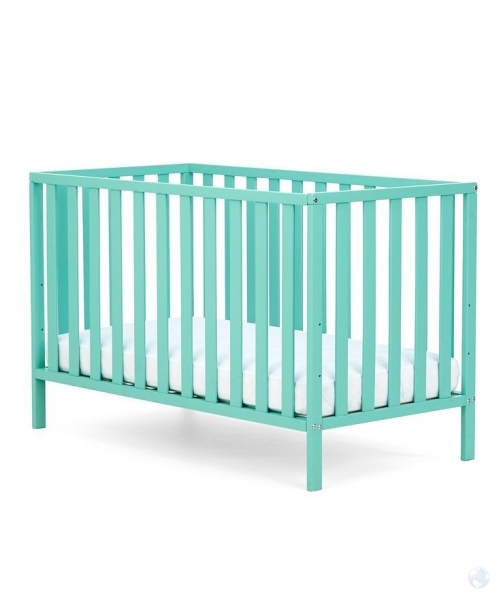 Mothercare has included within its range cots from its own brand as well as other popular names such as Stokke, East Coast Nursery, Tutti Bambini, OBaby, Disney, Boori and Silver Cross. 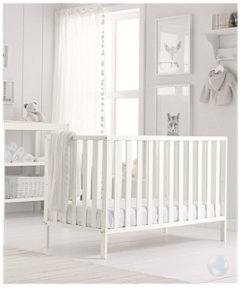 It is possible to co-ordinate your chosen cot with other nursery furniture available online. 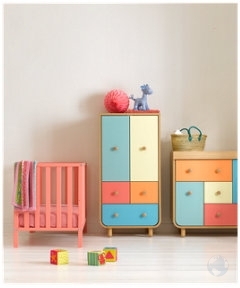 Mothercare has a beautiful range of cots and accessories to suit your budget and colour preference. Colours include white, antique pine, vanilla, natural, oak, grey, walnut, dark pine, espresso and even bright colours of blue, green, red and pink. In addition, there are alternative round and oval cots such as the Stokke Sleepi Mini Cot and Stokke Sleepi Bed. If you need to be able to move your baby's cot, Mothercare also stocks the Tutti Bambini Jenny Dropside Cot and the Troll Bedside Cot. You really are spoilt for choice. Mothercare Accessories include the Stokke Home Bed Roof which attaches to the Stokke Home Cot Bed to provide a protective atmosphere and shade your baby. There is also a variety of beautiful bedding to complete the look. For each of the cots you will find user reviews and cot bed measurements online to help you choose your ideal bed fro your baby. Click here to view more cots and cot beds on Parent Ideal - All the best mother and baby product retailers in one place.